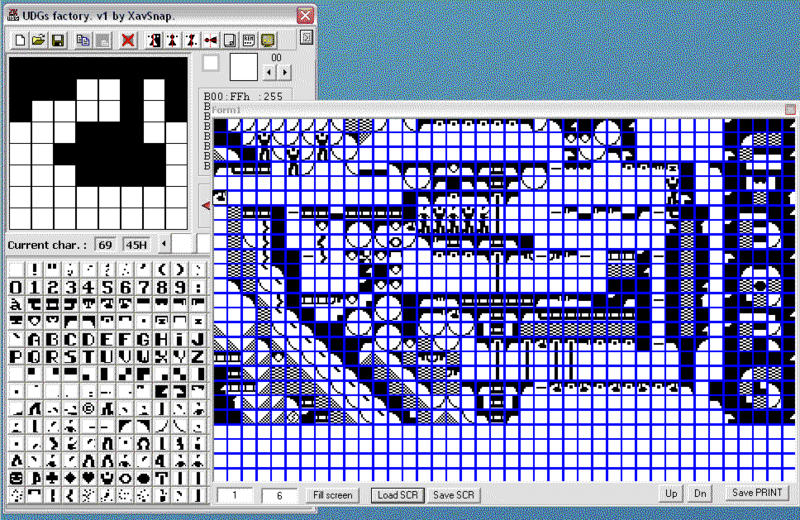 It's a graphic UDG (User Defined Graphics) editor. 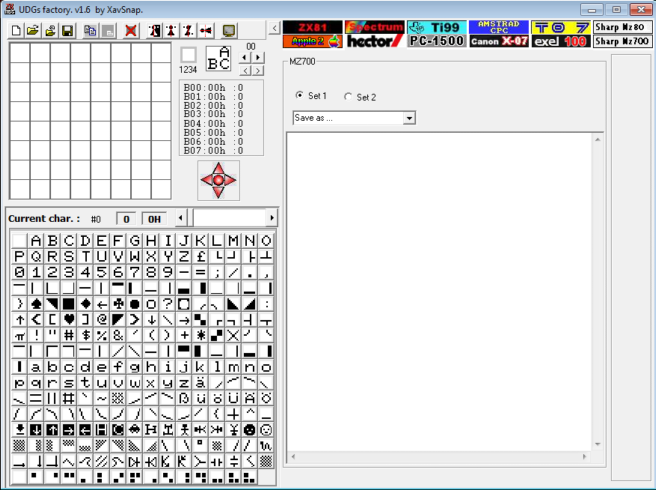 , Exel100, Canon X-07, PC-1500 or Zx81 computers. 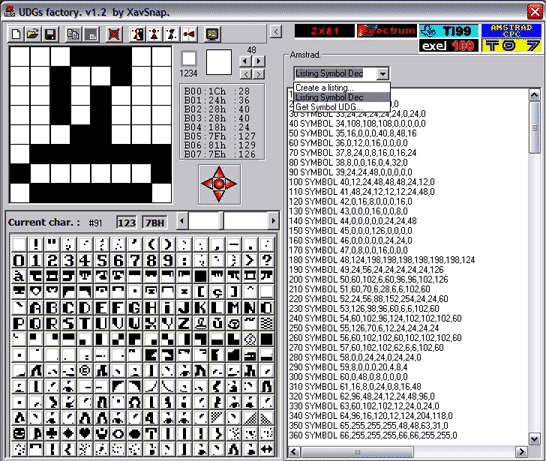 It use to create single characters or an Ascii computer screen. DLL TO LAUNCH THE EXE FILE ! PLEASE DOWNLOAD THE DLL PACKAGE AVAILABLE ON THE DOWNLOAD SITE.